Over the years I have repeatedly heard from owners that their businesses were not worth anything because they didn’t own land or there were little to no assets. I shudder to think of the amount of money left on the table because an owner didn’t understand what their business was worth. 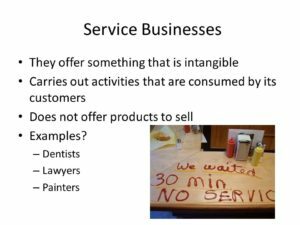 The service economy is a huge component of the business sales market accounting for better than 30% of the sales volume per annum here in Central Florida. 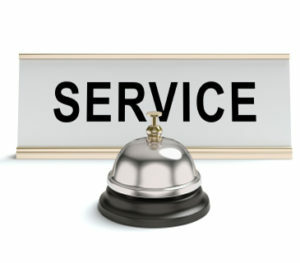 So rest assured business owners…..service businesses have value, they do sell, and there is a market for them. You see one of the unintended consequences of the great recession is that entrepreneurs placed greater value on Cash Flow as opposed to assets and with somewhat oppressive lending environment oriented to businesses that were home-based or operated from flex space on short-term leases and leveraged the internet to drive sales. Gone are the days where retail and location solely drive consumer behavior…big bulky banks and real estate holders have yet to realize it. The service sector with its flexibility to scale and flex to market conditions, low overhead, and annuity modeled revenue models of repetitive customers provides a consistency in cash flow and certainty highly sought by buyers. The more “SAS” or Repetitive Customers the more attractive. Assets frankly mean squat…except to the banker. There are some nuances to Service Sector Businesses that impact your value but if you are a Lawn or Pool Service, Janitorial Company, Maid Service, HVAC Company, Doctor, CPA, Garbage Company or any business where repetitive business is at the core rest assured you can sell it and exit your business profitably. For More Selling A Business In Central Florida please visit our website here or listen to our podcast.